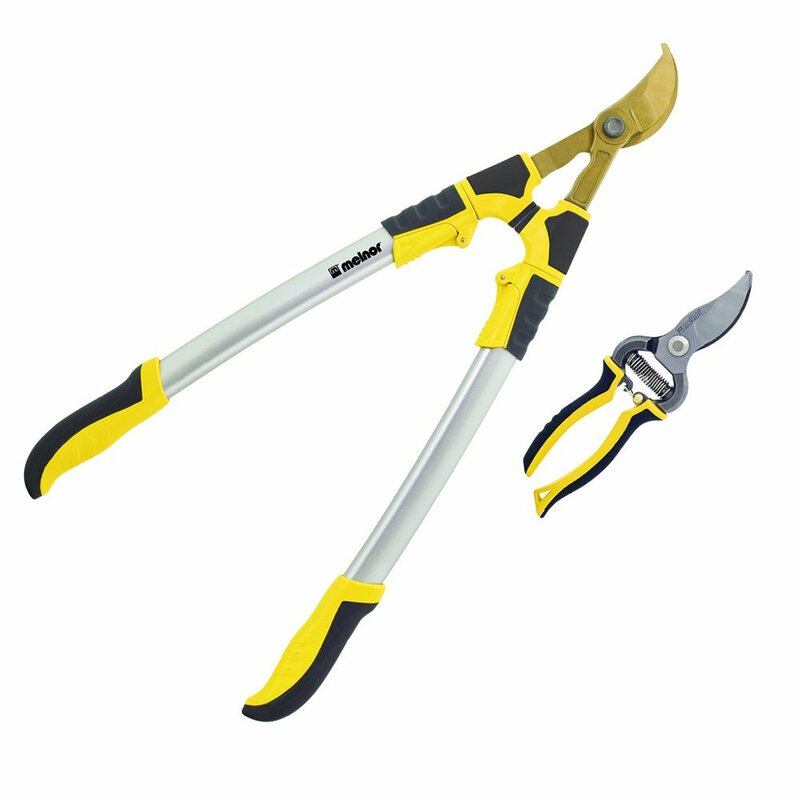 If you have trees or shrubs in your backyard, you’ll appreciate just how much long handled pruning shears can help with general backyard maintenance. Reaching high branches without having to resort to using a ladder. Cutting and pruning low down so you don’t have to stoop. Cutting back growth inside a large bush or shrub without you having to get inside it. 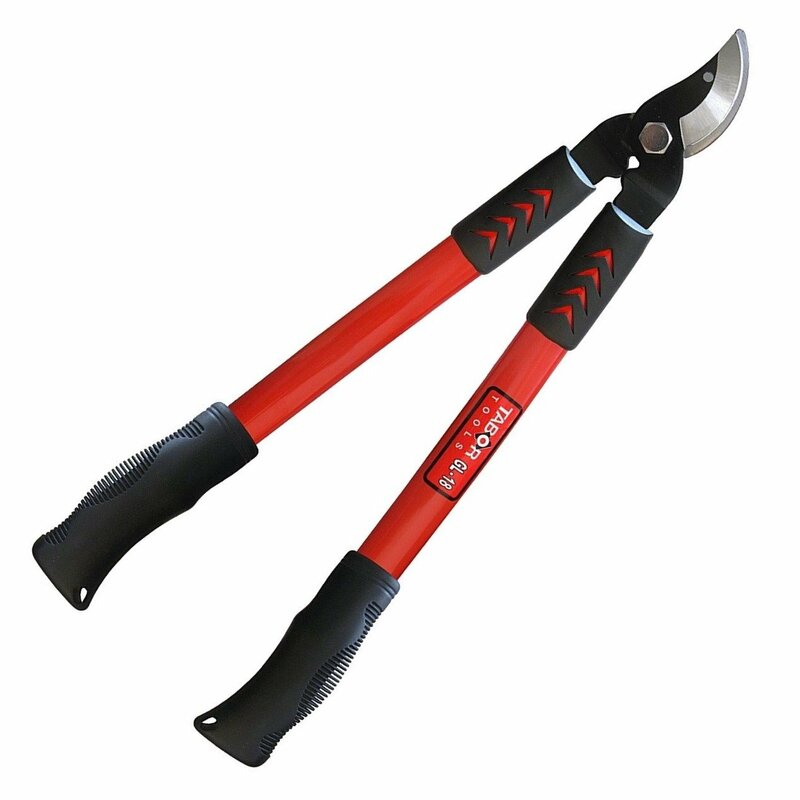 handles makes pruning and lopping a lot easier on the arms - you don’t need as much arm strength as when you use shorter tools. Hardened carbon steel blade - stays sharp. Will cut through 2 inch branches. 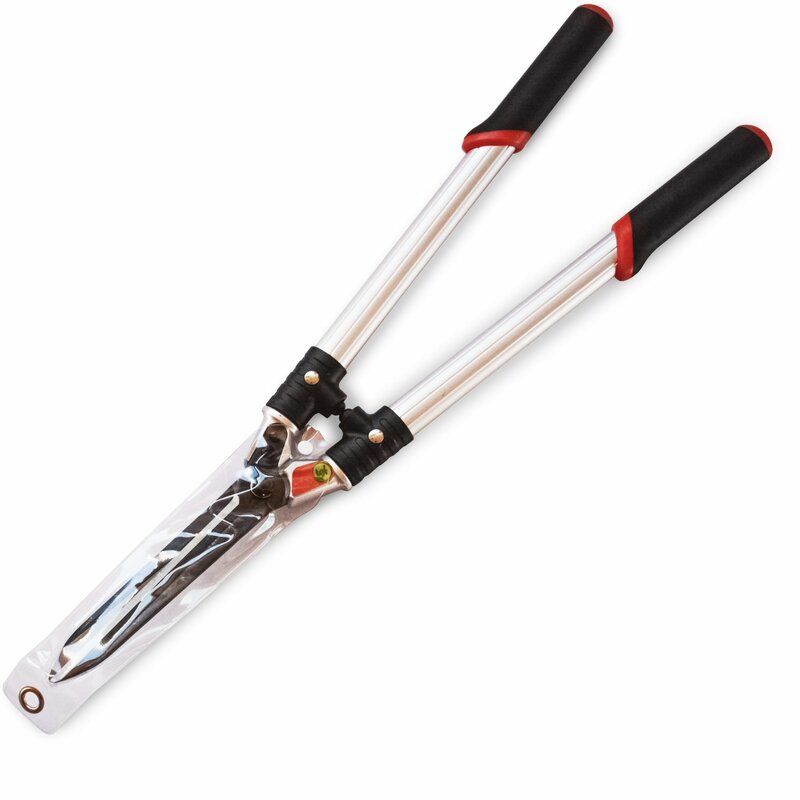 22 inch handles have ergonomic comfort grips. The GG12 weighs around 3.5 pounds. Handle ends do not touch when closing the cut, so no squashed knuckles! More leverage with the extra length so less arm strength needed. Teflon coated SK-5 steel blade. Can be extended from 27 inches to 40 inches. Ultra-durable forged steel bypass blades with Titanium coating. Handles telescope between 28 inches and 37 inches. Lopper comes with hand shears. A light-weight, medium sized, balanced tool. 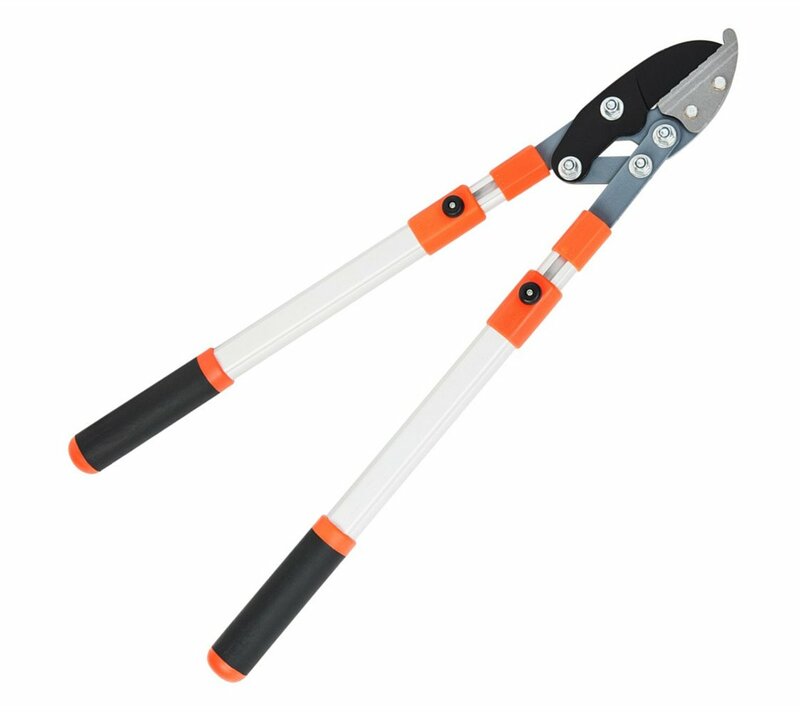 Cuts through 1 inch diameter branches. ​Medium size 15 inch handles. 7 inch coated SK-5 steel blades. Super lightweight - 21 ounces - with ergonomic hand grips. 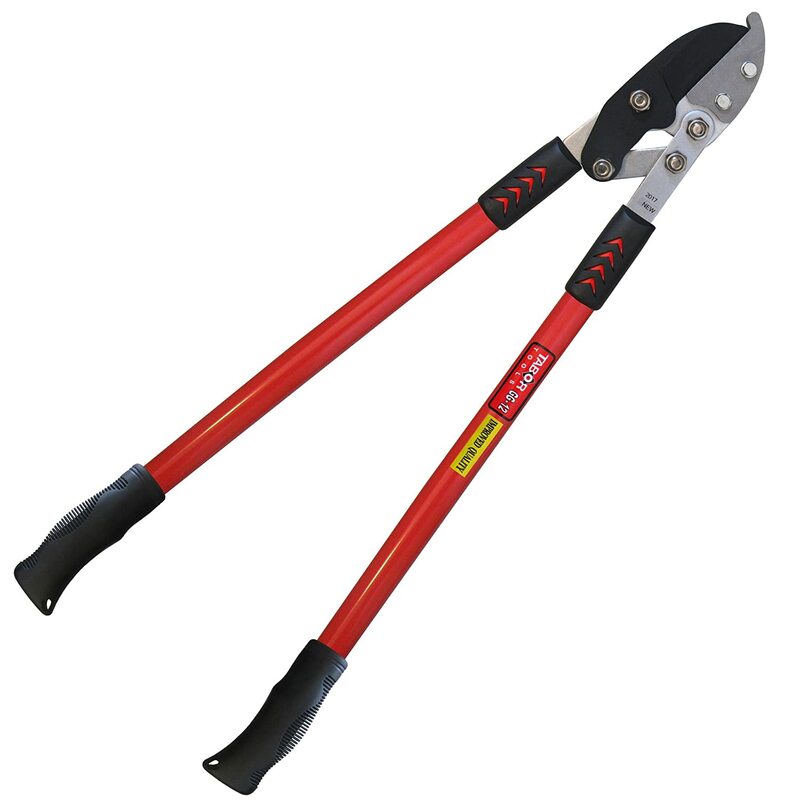 Blades angled slightly from the handles for comfort and easier pruning.